"Excellent" - he said in Mr. Burns' voice! The Gounod is the better - both as performance/recording (there's a compliant in the 1968 SRG re: the Dvorak stereo) but must re-visit Philips' Netherlands Wind Ens LP (originally bought '71/'72) which was very popular 'in the day'. You are spoiling your "customers", Tin Ear! Thank you very much, look forward to hearing this tomorrow. Am reasonably certain that a 'Sucking' RCM would additionally remove numerous tiny noises that take so much of my time...the surface was otherwise 'perfect' after my manual wet-clean. 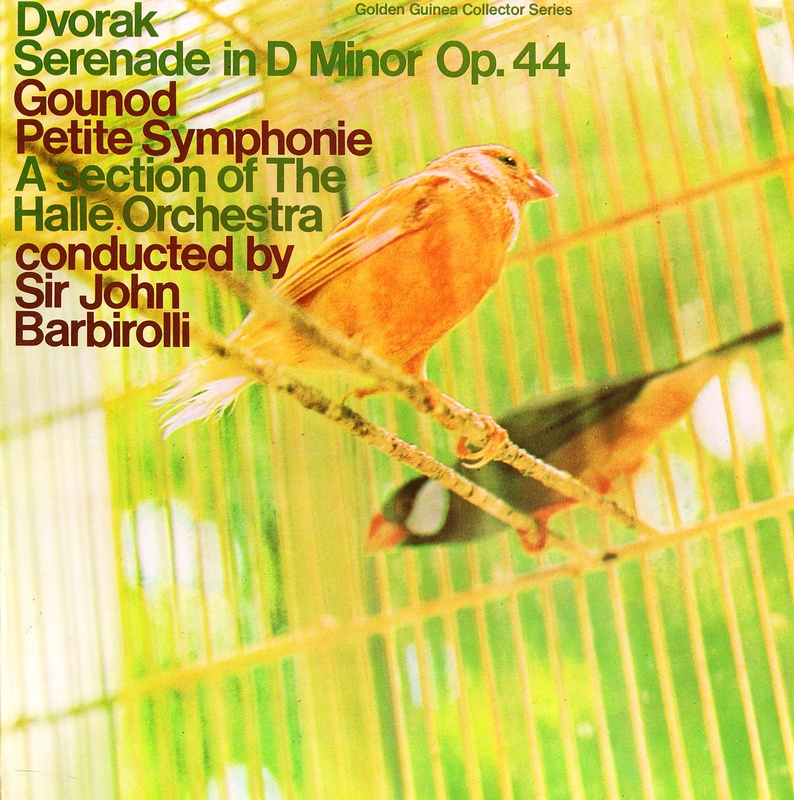 this was one of those Mercury/Pye co-productions, before the breakup of that arrangement. Mercury never issued a stereo version, so one wonders if the stereo masters ever existed (though the recording dates would indicate that it was likely) or if something in the arrangement made one or both parties agree not to issue the stereo. Presumably these were recorded 1957 (didn't do a search...) but have the 1967 Golden Guinea stereo (as listed above) - editing-time precludes offering both! 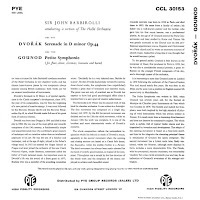 Some of these tapings are pretty good - took a listen to the Grieg Peer Gynt/Sym Dances on GSGC14077 - but others suffer from inferior PYE stereo mastering, and later PRT's could be 'tampered with' - like the Boult/Walton Sym.1.. 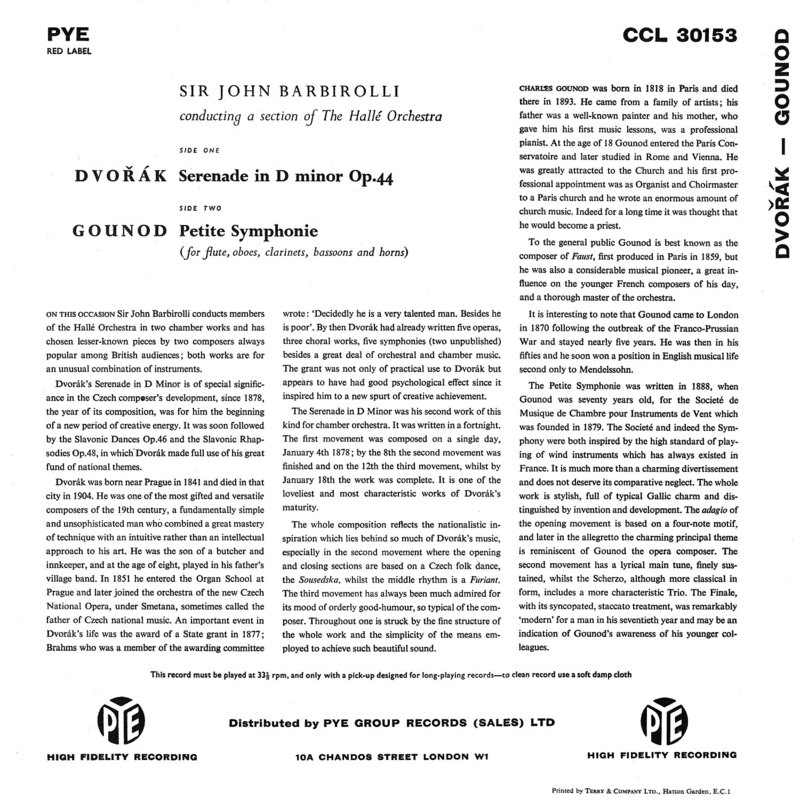 The Barbirolli Soc issued lots on CD - but missed these 2 (though issued, in bits, the ALP which contains the excellent R.Strauss 'Liebe der Danae' excerpt. Hi TE, thanks as always. 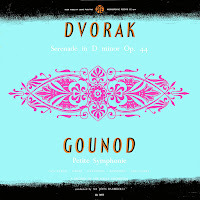 The Dvorak serenade appeared on a Michael Dutton remastered Nixa CD set with symphonies 7-9, NIXCD1004, which I have. Perhaps that's the one you refer to as PRT. 'Broader' tempi is the word - I had settled for 'stately'. I think a little more flow is required. 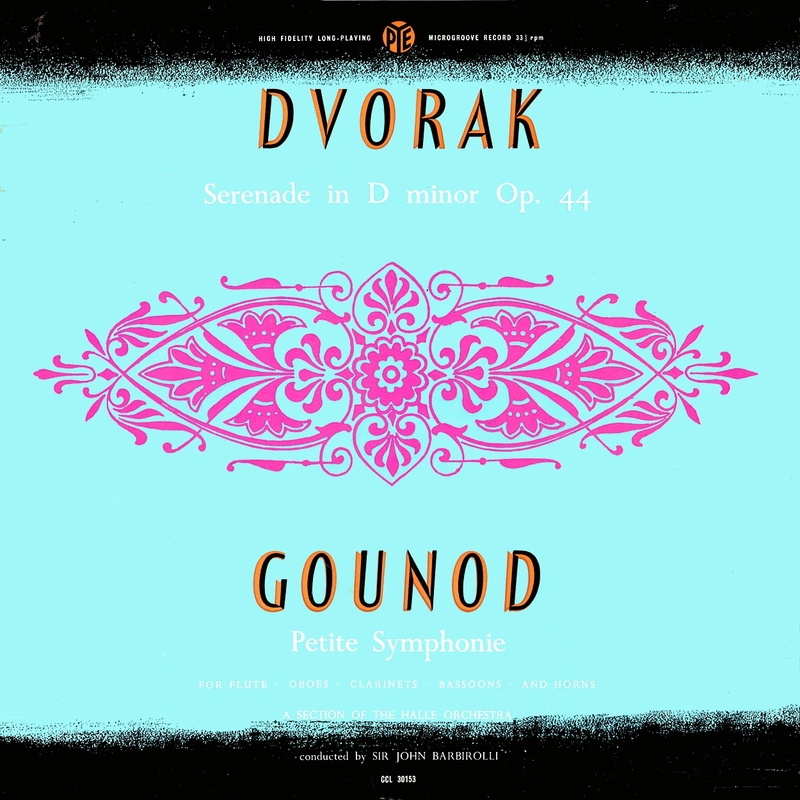 There's a lovely LP of both Dvorak Serenades by Schmidt-Isserstedt in Hamburg. Thanks for recording-date (same month for both??). Presumably Dutton took from tape - 'smooth/ed/er' ?? 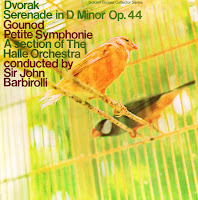 'Pye Collector' became 'PRT Collector' for 1982 releases (ie Walton 1/Boult). Have at least one of the Issersdedt's on DGG 'Privilege' - "that's an idea" if they're not on CD - as also have a c.1960 Keilberth/Hamburg Slavonic Dances/Telefunken. Though have an intention to upload Lympany's superb Grieg PC - and Prokofiev PC1/3 stereo:- M.Herman's discog show as only LP - but fairly sure the latter (and other Lympany's) got a non-EMI CD issue ? ?